Tonkin + Taylor has always acknowledged that its people are its strength. Everyone at T+T is chosen – not just for their exceptional skillsets – but for their personal attributes, such as a genuine sense of care for others and a passion for the job at hand. 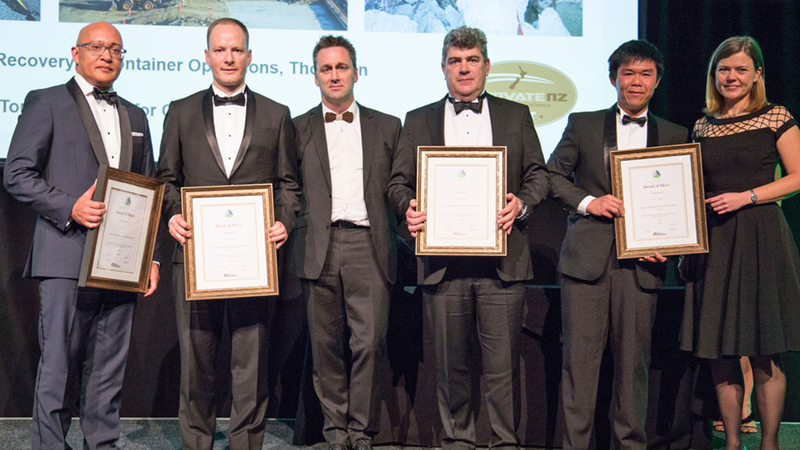 Our engineers have again made us proud, winning an ACENZ Innovate Gold Award of Excellence and two Merit Awards. In the spotlight were Dr Sjoerd van Ballegooy and Dr Tim Fisher and their high powered teams, for their world-leading work in the identification and qualification of complex land damage caused by the 2010-2011 Canterbury Earthquake Sequence. They were joined by Geotechnical Discipline Manager, John Leeves, who in February 2016 led T+T’s pro bono Cyclone Winston rapid disaster mapping team, assisting the New Zealand and Fiji Governments and many international aid agencies in their humanitarian aid efforts. Also Environmental Engineering and Management Discipline Manager, Dr Penny Kneebone, and engineers Dr EngLiang Chin, Stuart Palmer and Dr Hugh Cherrill who all worked with WSP Opus and Holmes Consulting on the remediation of Wellington’s CentrePort – specifically the fast recovery of ship to shore cranes following the Kaikōura earthquake. The cranes were secured and operating again within 9 months. All three projects highlight our teams’ willingness to step up when disaster strikes and work “above and beyond” to help communities devastated by natural disasters. 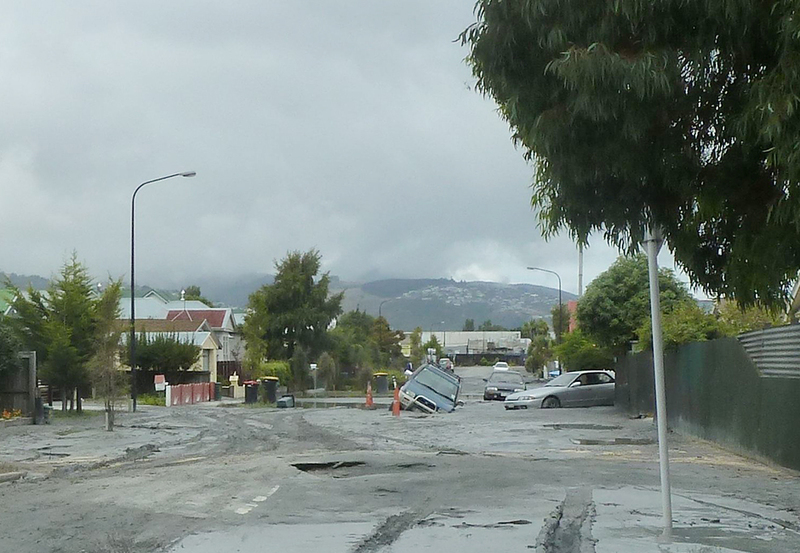 Working in Christchurch on behalf of the Earthquake Commission (EQC), T+T developed an elegant, robust solution that resulted in a significant contribution to the international body of knowledge around liquefaction and flooding hazards. The resulting portfolio of work has been recognised with a number of international accolades and awards. We’re delighted to see the highest accolade in engineering – an ACENZ Innovate Gold Award of Excellence – added to those. 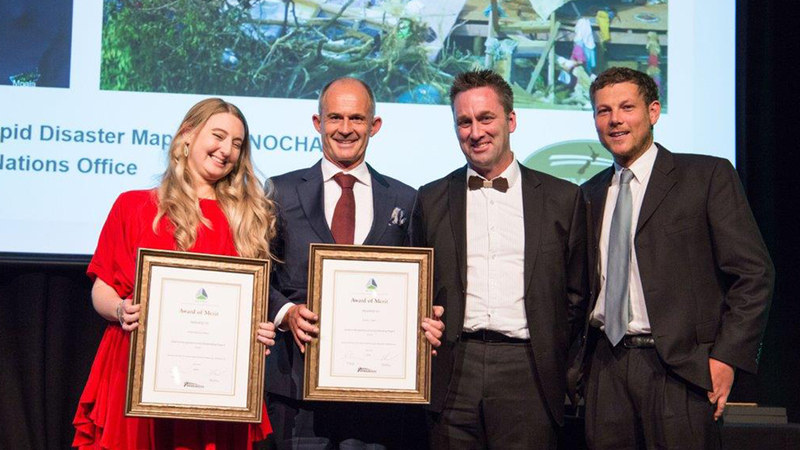 Meanwhile, hats off to John Leeves and his team for their exceptional pro bono effort in helping to drive the international aid response for Fiji, which saw them receive an ACENZ Merit Award. Cyclone Winston’s devastation of Fiji in February 2016 resulted in one of the New Zealand Defence Force’s largest peacetime deployments in the Pacific, involving hundreds of Navy and Airforce personnel and a New Zealand Government commitment of more than $15 million for relief and recovery work. Our world-leading learnings and technologies, fine-tuned during our work for the EQC following the Canterbury Earthquake Sequence, were applied pro bono to help triage the international humanitarian aid response in Cyclone Winston-ravaged Fiji. Disaster relief organisations such as UNOCHA, UNICEF, Red Cross, Oxfam and Save the Children, as well as NGOs and Government agencies, were provided with Tonkin + Taylor’s bespoke online “click and see” rapid disaster mapping portal hosted on our Auckland-based server. NZDF, RAAF and World Bank aerial reconnaissance images, as well as on-ground images provided by our own natural disaster specialist, were used to help facilitate rapid, efficient relief efforts. Rapid disaster mapping is now recognised as the gold standard for the collation, analysis and dissemination of data following natural disasters. It has since been deployed on behalf of EQC to map land damage resulting from the 2016 Kaikōura earthquake and, more recently, in Tonga, following Cyclone Gita. Work is now underway in collaboration with the Centre for International Development (CID), the umbrella organisation which represents the New Zealand based NGOs, to help break down barriers between the private and humanitarian sectors so together we can collaborate effectively in future disasters. T+T is honoured to have three of its teams take away ACENZ Awards this year. Congratulations one and all!